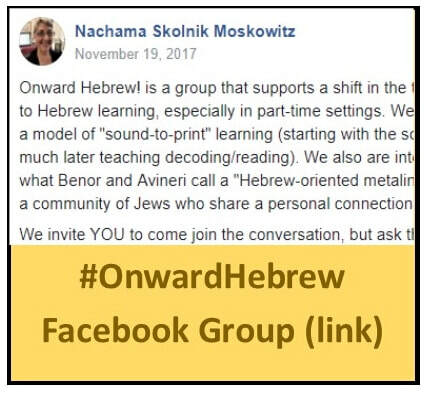 #OnwardHebrew is changing the culture of Hebrew learning in part-time/congregational educational programs. 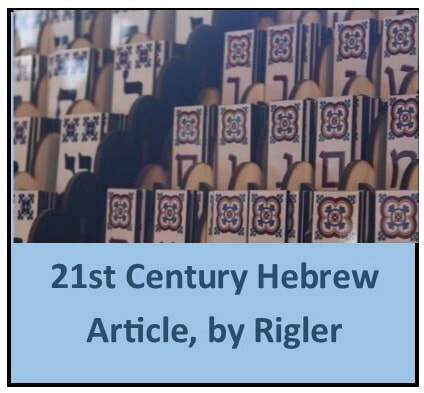 Hebrew is no longer confined to 45-60 minute classes, but rather it moves (literally!) 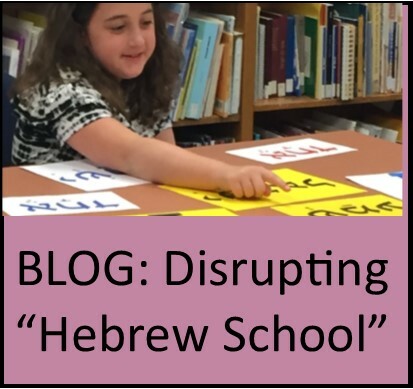 with Hebrew Through Movement, is brought into the minds and hearts of children via Hebrew-rich t'fillot/worship, and is regularly intermingled with English. 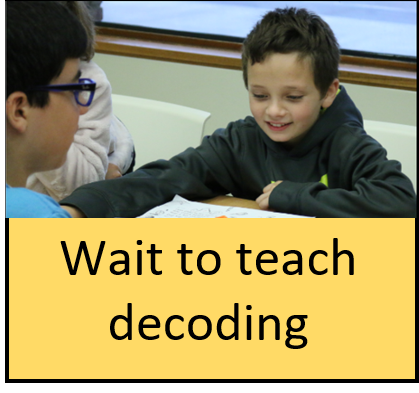 In addition, a number of education directors have successfully changed their curriculum, teaching decoding in fifth or sixth grade. 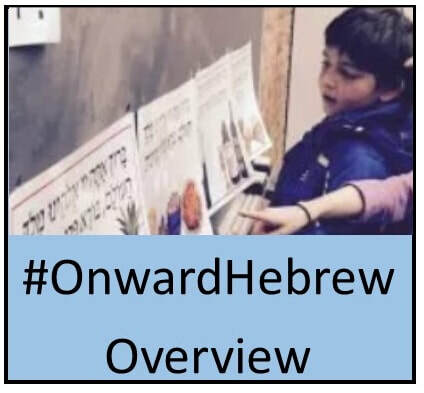 Ready to consider #OnwardHebrew? This webpage outlines foundational principles, offers resources, and links you to the Facebook webpage that encourages conversation. 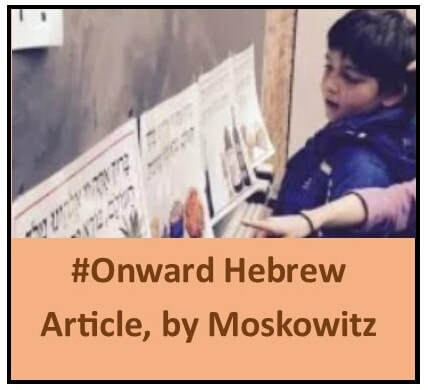 From Rabbi Stacy Rigler, JQuest, Philly: Our fourth grade students are not decoders, but they chant the prayers each week and learn key vocab via Hebrew Through Movement. Our teacher lays out the prayer's words along with images from the HTM curriculum. As they get to the words she spends time talking about the image. A recent example - Gibor (hero) in G'vurot. with an HTM image of Arafat, Rabin and Clinton making peace. She asks, "Who are these people? What makes them gibor or giborim?" One child knows who they are and explains; others pipe in. "Who sees another image of a gibor she asks?" Other students put their pictures under the word gibor . "The prayer words come to life," she explains. "They are not just Hebrew words, but they relate to what they do every day, the way prayer is meant to be."